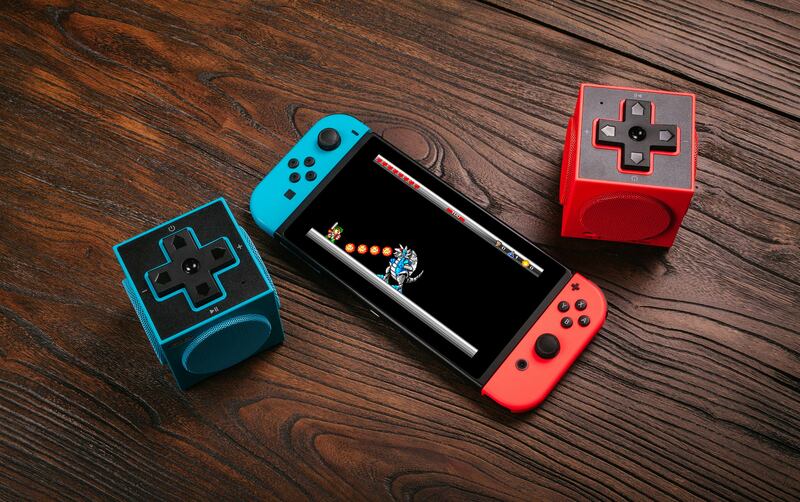 Retro controller maker extraordinaire 8bitdo is at it again with the NES30 Arcade Stick, which packs Bluetooth connectivity for wireless compatibility with Nintendo Switch, Windows, Android, Mac and Steam. The design borrows from the classic NES design from Nintendo for its color scheme and graphics, but unlike the original NES Arcade Stick, 8bitdo’s version has a full complement of buttons for modern games, is customizable with Sanwa joysticks and has built-in turbo capabilities. The battery in the NES30 Arcade Stick will get you up to 18 hours of continuous play time, and it includes eight big red 30mm size buttons for easy combo chaining. Nintendo’s been releasing a lot of classic SNK fighters on the Switch, as well as the Ultra Street Fighter II remaster, so it’s a good opportunity to put this large controller to use for anyone who has a strong predilection towards fighting games. Speaking from experience, 8bitdo’s controllers consistently deliver in terms of reliability and ergonomics, so I’ll definitely be looking forward to taking this new one out for a spin. This company has carved out a unique niche with its ability to create flexible controllers with modern features that still play into nostalgia felt by longtime gamers, and it’s cool to see them try more unique designs. The NES30 Arcade Stick is up for pre-order now via Amazon, and will ship by August 20, with a retail price of $79.99. 8bitdo is also releasing another product it first showed off at E3 this year for pre-order today, its TwinCube Stereo Speakers, which are $59.99, work with a range of devices and also start shipping on August 20.